You'll get your lowest airfares ever thanks to Hopper's finely tuned price-prediction feature. First it figures out the best time for you fly, then it figures out the best time for you to buy tickets for that flight. Does your grandmother always give you gift cards for stores you never shop at? Bid adieu to that Talbots card and use Raise to exchange those useless cards for cash. It's always a bummer to buy something online only to see the price drop the next day--Slice will help you get your money back and keep you informed of when your purchase is due to arrive (so you don't have to keep track of a series of notification emails). OneReceipt keeps track of all of your paper (and digital) receipts in one spot so they never get misplaced or accidentally thrown away again. Saving up to buy a new couch with your roommates? Setting aside money to go on vacation with your husband? This app allows you to sync budget reports across multiple devices (and on the web) so you can save money as a group. Finding parking in the city can be pricey: Check out all of your options using BestParking before pulling into a lot. Would you rather park directly across the street from the theater or walk a few blocks for 10 bucks less? It's up to you. Keep track of your gift spending (for Christmas, birthdays, or any other occasion).It's easy to go overboard when you're caught up in the holiday spirit: This app will help keep your spending in check by setting a budget for each person on your list (and then keeping track of how much you've spent on that person so far). When your tank is approaching emptiness, open up the app and see the current gas prices at stations near you. Never experience the feeling of driving two blocks and finding gas that's 30 cents cheaper per gallon again. Tend to run out of data on your cell-phone plan? Use Wi-Fi Finder to find locations where you can use Wi-Fi for free. It works worldwide, so be sure to download it before your next trip to avoid being charged pricey roaming fees. And if you really want to make your data last longer, check out Onavo Extend. Whenever you're waiting to check out at a store, open up Coupon Sherpa and check to see if you can save a few dollars. The person working at the register just scans in the coupon codes from your phone. If you're a fan of old-fashioned paper coupons, use SnipSnap to scan, save, and redeem the ones you find in magazines (or newspapers) — that way you don't have to lug around an envelope of clippings; you simply pull out your phone. You'll find hundreds of offers (across all the different departments — from clothing to groceries). Find a sports bra that you want to buy? Scan the barcode, and the app will tell you if there's an available coupon for it! To find deals at your other favorite stores, check out ShopSavvy. Complete a few simple tasks to get cash back rewards using Ibotta. How? Let's say you want to get a rebate on a container of ice cream: You may have to "learn a fact" about that particular brand of ice cream or take a poll about it. After you complete the task, you'll learn how to redeem your cash reward. Some of the stores you'll be able to get rewards at include: Sephora, Target, Costco, Kohls, and Walgreens. If you're in college, download BIGWORDS to save money on textbooks. Scan the barcode of the book you need, and the app will tell you where it's available for the least expensive price. Healthy food is often the most expensive food: This app allows you to save money on things that are natural and/or organic. For more grocery store savings, check out Favado and Checkout 51. 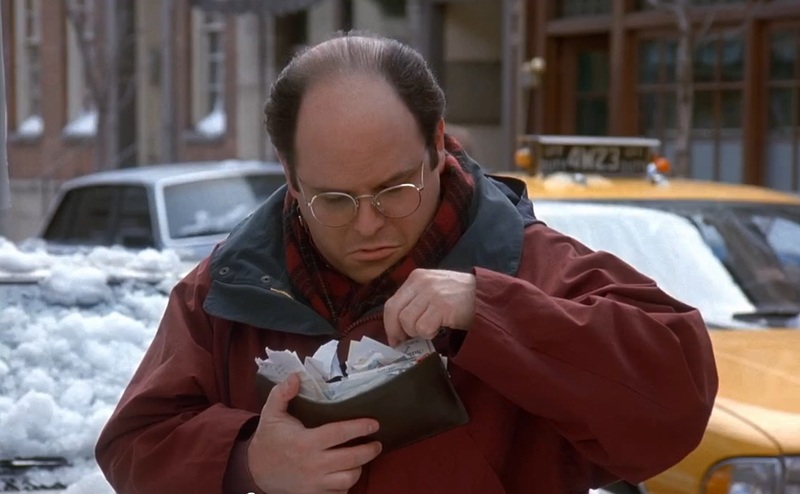 Keep track of all your loyalty and reward cards so you never miss out on a bargain (and so you don't have to have to carry a George Costanza-size wallet to store all of your cards). Even if you don't own a Kindle, it's worth getting the app: There are hundreds of books you can download for free, so between the books you find there and those you can find at your local library, you should be able to put together quite a reading list without spending a cent. Ditch the gym and download a fitness app. There are a ton of free options, but you can start by checking out Fitness Buddy or Sworkit (they're both very highly rated). Earn cash rewards simply from walking into a store you were going to visit anyway. Accrue a bunch of "kicks," exchange them for the gift card of your choice, and start saving. Get last-minute discounts on top-rated hotels using Hotel Tonight. You can only book a week in advance, so it's not the best option for a long-planned family vacation...but for a fun, spur-of-the-moment getaway? Perfect. Find restaurants where kids can eat for free using this app. Save money on food that will probably just end up all over the floor anyway. If you're unwilling to sacrifice your afterwork drink on your quest to save money, download Happy Hour Finder. Let the app see your location and then browse through a list of bars offering bargain booze near you. Your daughter is throwing up everywhere and suddenly going on vacation is no longer an option: What do you do about your hotel room? Get rid of it using Roomer. Use the app to list your room and wait to hear from someone who wants to take over your reservation — you won't lose your money on cancellation fees! An app that helps cash-strapped college students find deals at restaurants and stores near their school. You can even earn loyalty points at the places you visit again and again and again. Become a smarter spender (and a better saver) using this app. It gives you a real-time snapshot of how much money you have left to spend in your budget for the day, week, and month. It's bad enough having your car break down, but it's even worse when you're worried you'll be overcharged by a mechanic: RepairPal to the rescue. You use the app to estimate a fair price before you even call the shop. Is it more cost effective to buy something in bulk or individually? Let this app figure it out for you. If you're specifically interested in seeing a show on Broadway, try TodayTix.